After spending several years in investment banking we’ve seen hundreds of resumes and conducted countless interviews with new analysts and associates. The advice below is a guide based on my firsthand experience of what is the most effective way of how to get a job in investment banking. The first step on your path to an investment banking career is to get an interview. Investment banking is extremely competitive with way more applicants than new hires each year. You will often be up against students from Ivy LeagueList of Target SchoolsA list of the top target schools for investment banking recruiting and hiring. This list includes top targets, second targets, and MBA targets. The reason they are called a target is that the banks actively "target" their students by holding information sessions on campus and traveling to the school to conduct first-round interviews. universities, with a high GPAGPA ConversionGPA is important for jobs at the top investment banking, finance, and accounting firms. Use our GPA conversion table to calculate your GPA when applying. Bulge bracket banks and almost all other investment banks will look at your GPA when applying for a job and you should include it in your resume. and multiple internships under their belts. How can I use networking to get an investment banking interview? An easy way to start networking is to talk to your career center and ask to be introduced to any alumni working at investment banks that you want to target. Another approach is to use LinkedIn and find any connections who can introduce you to bankers you want to network with. Be sure to frame the request around learning more about the industry, and not about getting a job or an interview. A third approach is to join a local CFA® society in your city and network with local professionals who may know investment bankers and can introduce you to them. Attend the National Investment Banking CompetitionNIBC Investment Banking CompetitionCFI is proud to be a leading partner and sponsor of the NIBC - National Investment Banking Competition - conference. Register for the case competition here. The National Investment Banking Competition (NIBC) brings together 1,600 students, from over 100 universities, competing to be recognized as the best team in the case competition. (NIBC) where hundreds of schools from around the world compete in a live investment banking case competition. 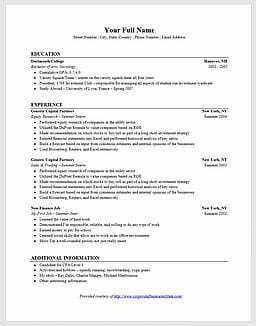 How do I make an investment banking resume? Step 2: Understanding the interview process. The investment banking interview process is highly structured. The banks move quickly to screen resumes, conduct first-round interviews, conduct on-site interviews at their offices, and extend job offers. What should I expect in the first round interview? The first round interview will either be on the phone or on campus (if you’re at a target schoolList of Target SchoolsA list of the top target schools for investment banking recruiting and hiring. This list includes top targets, second targets, and MBA targets. The reason they are called a target is that the banks actively "target" their students by holding information sessions on campus and traveling to the school to conduct first-round interviews.). There are three types of questions you will be asked: problem-solving, technical, and behavioral. The first round interview will have all three types of questions, however, there will be more focus on the technical ones. The objective of the first round is to quickly screen candidates between those that live up to their resume and those that don’t. What should I expect in the final round interview? The final round (often called “Super Day”) will be held on-site, with everyone being flown into the office from their respective school or hometown. The final round will typically include interviews with several different people, ranging in seniority. Generally speaking, the more junior the person interviewing you, the more technical their questions will be, and the more senior the person, the more behavioral their questions will be. It’s important to dress right for the interview, which typically means wear a suit that’s black/blue/gray and nothing too bold. It’s less about trying to impress them and more about trying not to come across negatively. Some banks will make decisions immediately following Super Day (i.e., the same or following day), with most getting back to you within a week. Step 3: Knowing how to answer the interview questions. What questions will I be asked in the interviews? We have prepared a full example of a real investment banking interview for you to practice with. It uses real questions used by investment bankers to hire analysts and associates at a large global bank. The main technical skills to master are valuation, financial modeling, accounting, and Excel. 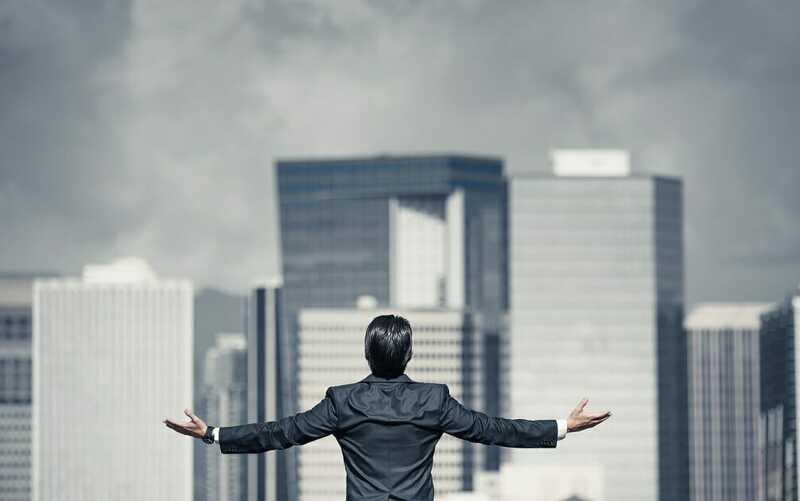 At CFI we a leading global provider of all the above technical skills and encourage you to enroll in our online courses for investment banking to help you be fully prepared for how to get a job in investment banking. The investment banking hiring process is very formulaic. The key is to understand the process and tick all the boxes without making any fatal mistakes. This means, limit your resume to one page, have a good GPA, gain relevant work experience, and demonstrate you can gracefully answer both technical and behavioral questions. Following the steps in this guide on how to get a job in investment banking will provide a great framework for your preparation. At the end of the day there are no real shortcuts, and you still have to put in the hard work of being well prepared.